Many professionals have some experience working with adopted children and will say they are familiar with working with children with attachment or trauma problems. However, it is very important that you find a professional who has specific training, continuing education and experience in the areas of childhood trauma and attachment disorders. How do you find the right therapist for your child and family? Seek Advice of Those “in the know”. The list of adoption therapists you’re your insurance provider may or may not include professionals well-versed in attachment or trauma. 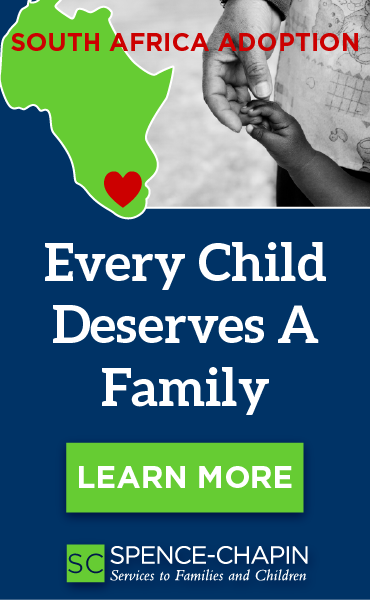 Contact your adoption agency and ask your local support group for suggestions. Check out resource listings from national organizations like Attachment & Trauma Network and ATTACh. When you hear the same professional mentioned in more than one place, this is a person to consider. What training has the therapist received? How many hours of supervised training in attachment therapy and/or trauma therapy? Was this training provided by a recognized, competent attachment therapist or trauma therapist? Is the therapist licensed by the state in which they practice? Has the therapist ever been censured or disciplined by a State Licensing Board? What initial assessment of the child and the family is done prior to treatment? What attention is given to help the parents explore and heal their own issues? What attention is given to help with parenting strategies? ** This is the single most important question in determining whether the therapist understands the nature of attachment and trauma problems. It is very important that parents are included in the therapy sessions either as a participant or being able to see what is going on in therapy at all times. The overall goal of therapy is to assist in developing a healthy attachment of your child to you, not the therapist. Parents should be highly regarded as an important (the most important) healing agent of the child. Parents should be actively coached in parenting strategies and ways to augment the therapy session at home. This type of therapy is family therapy and should focus on developing healthy relationships within the family. Ask for (AND CHECK) References. Ask for contact information of a few parents you can call, including families who the therapist is no longer seeing (assuming they are healed). Or ask the therapist to have other parents call you, if confidentiality is an issue. It is important to speak with other families who have used this therapist. Ask for references among families within your local support group/adoption agency as well. Also ask what the therapist recommends as far as reading and training for you as a parent. What the therapist recommends will give you insight into his/her level of knowledge and treatment philosophy. Location, Insurance, Finances. While all these things are determining factors, when selecting a therapist, they should be considered last. Often times the best therapist for your family/child will not be the one closest to your home or one that is in your insurance network. Sadly, sometimes these factors must override others. But high quality therapy by a highly trained attachment/trauma specialist for even a short time can reduce the need for additional therapy in the future. I don’t like the therapist? You really should be comfortable with the therapist you choose. You should be able to build a trusting relationship, a “partnership” to help your child and family. If you are feeling uncomfortable with the therapist’s methods, you should express your concerns to the therapist and not hesitate to change therapists if there is an on- going problem with developing this partnership. Keep in mind that your own emotional health is paramount for helping your child, so many parents find it essential to seek individual therapy and resources for processing your own feelings. If your child’s therapist is recommending this, take him/her seriously. The attachment/trauma therapist should be able to assist you in finding the right additional professionals to work with. This self-care and self-reflection is very important. My child doesn’t like the therapist? This is a trickier question, because the work our children will be asked to do is challenging, so it is likely that your child may not like the therapist and the hard work he/she represents. And it’s important to remember that the goal of therapy is building a relationship with YOU, not the therapist. If you’re continuously involved in the therapy, you will be present and be able to gauge whether your child’s dislike of the therapist is problematic or not. Obviously, therapists who are increasing your child’s anxiety or shame without offering a therapeutic resolution or ones who use coercive techniques are not appropriate for traumatized children. But this therapy is hard work, so expect some resistance from your child as the healing occurs. This guide was adapted from resources available at the Attachment Trauma Newtork(ATN). ATN is an organization for parents and caregivers of children suffering from trauma and the resultant disorders of PTSD, Reactive Attachment Disorder and attachment difficulties. We provide support, education, information and advocacy for families. It is a membership based organization with a low fee for membership.